Fabrication shop is equipped with MIG, TIG welding, grinding machines, Cutting machines, Honing machines. 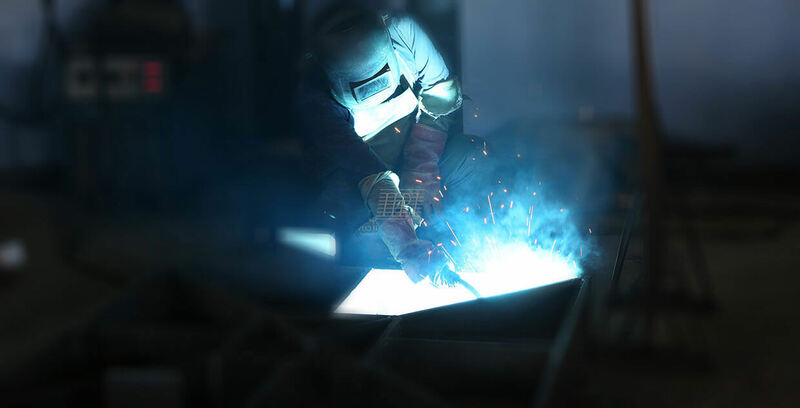 The welding procedure is carried out by highly trained and qualified welders. The RT test will be carried out after fabrication process. Our Machine shop is highly equipped with the latest, state art of technologies such as CNC machining centers, Turning lathes, Vertical machining centers, Drilling machines, Horizontal Boring Machines, Milling machines for carrying out machining works. Our filter plates are moulded using compression moulding technique. Approximately, 100 plates can be moulded each day in each size which varies from 470x470 mm to 1500x 1500 mm. The assembly unit consist of 2 sections: Machine assembly unit & Hydraulic assembly unit. In hydraulic assembly section, the hydraulic power pack is assembled. The hydraulic cylinder is manufactured, honed and assembled to the Hydraulic head of the machine. They are available with mechanical locking as well as automatic pressure compensation system, with a stroke length ranging from 150 mm to 4000 mm. The Cylinder is designed for various sizes of Filter Press depending upon the Pressure ranging from 15 tons to 400 tons. PP plates and Filter press structure are dimensionally checked before dispatch to assure no deviations and the Filter press machine is subjected to a mechanical load test to a maximum pressure of 300 bar to check if any pressure drop or leakage.